A child snuggled on your lap listening to the rise and fall of your voice as you read We’re Going On a Bear Hunt or The Very Hungry Caterpillar evokes the most precious memories you have about your little ones. There are so many wonderful books for kids to share with kids. In fact, there are some books that I think no child should miss hearing during those beginning years. So, I’ve compiled a list of 101 books to read to kids before kindergarten. I know that your kids will have life-long memories of being read to by a loved one and chances are one of these books will trigger that memory when they are older. The list is a mix of classics and newer books that will someday be classics. Normally, on Growing Book by Book, I share a little about each book. Since this list is so long, I’m going to just list the books this time. The purpose of this list is to get little ones “hooked” on books! One of the main goals of reading with babies is so that they can soak up our voices and listen to our language. Another big reason to read to babies is that it is a wonderful and nurturing bonding experience between reader and baby. All the books in this section are board books which means that they have heavy pages that babies will have a hard time tearing. 1 Snuggle Puppy by Sandra Boynton- You’ll see some more Boynton books on this list too! 11 Toes, Ears, & Nose by Marion Dane Bauer and illustrated by Karen Katz- Once your little one starts to grab the flaps, you will want to put it away for a bit. Our copy ended up with no flaps. Here you will find a mixture of board books and hardcover/paperback books. These books are highly engaging with is important for little ones on the move. 32 Chicka Chicka Boom Boom by Bill Martin, Jr.
33 Brown Bear, Brown Bear, What Do You See? by Bill Martin, Jr. This list includes books that will have preschoolers begging to be read over and over. There are also books that deal with new situations that preschoolers face such as starting school. Around age 4, kids are eager to listen to chapter books. You have to find the right books though. Here are a few to start with on this leg of the reading journey. *For more books that make great first chapter book read-alouds, check out these lists. Number 101 is for you to fill in on the list. It’s that one book when you close your eyes and think back to being snuggled up on someone’s lap, you vividly remember. That book is a must read with your kids. What book is it? I’d love to know. Share the title in the comments. 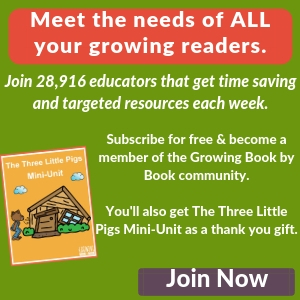 Join tens of thousands of educators who are saving time with targeted and meaningful resources to reach all their emerging readers. 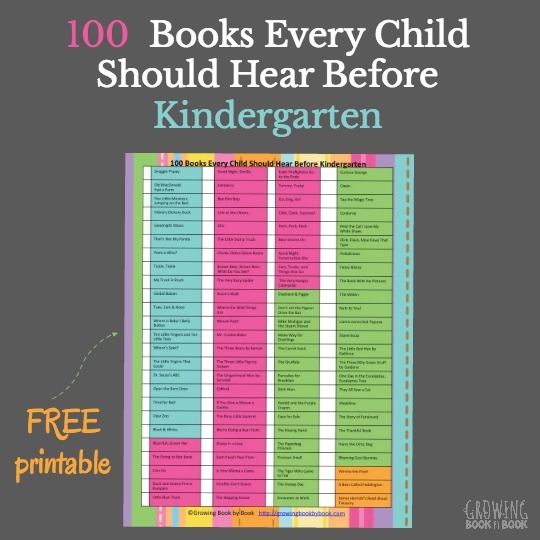 As a thank you, I’ll send you a handy little reference sheet (color version and black & white) of 100 Books to Hear Before Kindergarten that you can take to the library, hang on the refrigerator, or share with families? Click the button below to join our newsletter. You’ll also get the downloadable book list emailed to you as a thank you. #101 The Story About Ping by Marjorie Flack and Kurt Wiese. Your list is wonderful and I see recommended products below the article. It features “the giving tree”. I read that as a kid and i cried my eyes out every single time. Tikki Tikki Tembo by Arlene mosel. seeing it as an adult brought back great memories of my childhood. I’ve been reading it to preschoolers for years now, and they always love it! My children loved it and now it is a favorite with my grandson too. love all the books but dont want to print 18 pages…where is the one page color list that first shows up?????? 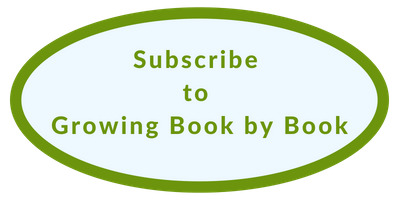 Just click “subscribe to Growing Book by Book” and it will be emailed to you as a thank you gift. I received the 10 book list, but not the printable. I would like to receive it as well. It was sent in a separate email. You might check your spam/trash folder for it. If you still can’t find it, let me know and I’ll resend it. Just sent you an email. Enjoy! such a great list! How do I get the printable version? Hi Jodi, the list is available as a thank you to newsletter subscribers. Just click the button to subscribe for free, submit, and the list will be emailed to you. i WONDER IF YOU made an effort to be gender equitable in your book lists. I am surprised that you, as an educator, would not have considered the importance of making sure that both genders were represented equally. Granted, I have not read every one of these books on this list, but there are many I have read and list seems extremely heavy on male characters. Disappointing for those of us who have daughters. .
Was that really necessary? Do you feel better? If you dont like it, moVe on. Are you aware of the TREMENDOUS impact this teacher has had BEYOND her classroom to all of us?! She is to be commended and THANKED, not criticiZed. And by the way, if you had politley asked her for more books with female influence I feel quite certain she would have provided you an answer. For us, it’s “wynken, blynken, and nod,” or as my son calls It, “winky nod.” We have my copy from when i was little! Some of my FAVORITEs not listed are The Little Bear series, Saggy Baggy Elephant, Tawny Scrawny Lion, Pokey Little Puppy..I always loved the Little Golden Books, Also the Johnny Lion series and Jonathan London’s Froggy series are Favorites. Golden Books bring back so many fond memories and have made books affordable for so many little ones. I’LL.Love you forever by Robert MUNSCH…We read that book to all the children on the family. Lisa, that is a favorite of many. Just wish I could read it without crying. A book that brings back great memories for so many people. Oh yes! Lyle is great. Lyle lyle crocodile was one of my favorites and now my kids Love it too. That is one we have read a lot too. It’s a classic! My dad visited me in the hospital when I was about 6, and I would beg him to read “The House THat Jack built.” He read it at a quick pace and when he was done, I’d beg him to do it again, faster and faster. Those times meant so much while in the hospital. It’s amazing that those experiences impact our memories. Memories of “dandelion” and “a Rainbow of my own.” Big red barn by mWb. My kids love so manY on the list, and also “a Good day” by kevin henkes, “my friends” by taro Gomi, a little stuck by oliver jeffers, haiku baby and sweet dreams lUllaby and i haiku you by betsy snyder,school bus by donald crews, pout pout fish, peTes a pizza, whats wrong little pookie, fire truck by peter sis and iggy peck. Owl Babies by martin waddell. We had to leave this book with our babYsitter every time we went out because my dAughter would miss us so much. Our daughter is now 23 and a special ed teacher! Hairy MCCLARY from donaldson’s dairy by lynley dodd. My son loves this book, i think i may have read it at least 100 TIMes in THe last year. It is always so fun to see which books our kids love to hear over and over. When i taught pk i did a whole unit on eric carle. Each bo taught a lesson. Its One of the first things I bought when I Was pregnant. it’s no longer in print, and I paid an obscene amount of money for copy in good condition, but I had to have it to read to my kids. Oh yes! Love Frank Asch’s books. What a great memory Kate! Miss Rumphius brings back such wonderful memories for me too. The Maggie B–I still remember listening to my mom’s soft voice nearly 25 years later. Great bedtime story. My 1 year old SON LOVES KITTEN’S FIRST FULL MOON BY KEVIN HENKES. IT IS ONE OF THE FEW BOOKS THAT KEEPS HIS ENTIRE ATTENTION. IT IS ALSO A CALDECOTT WINNER. The Clifford the bIg red dog books are written by Norman BRidwell, not birdwell. The island that emily elizabeth lives on is called biRdwell island! Great list! I teach kindergarten and have read a large portion of these to my stUdents this year. Thank you for catching that Mary. Hi! Can you please send me the 101 list kf books to read before kinder. My email js court.pierce@aol. Thank you! I am trying to get the printable list, but when I get the email its a different list, not the one shown in the post. How can I get the one listed here? Thanks! I have great memories of Stand Back Says the Elephant! What beautiful imagery and emotions your first paragraph evokes! I love this list, my middle child is off to Kinder next year so it’s great to have a booklist to work through together! Such a great list! We’ve read many of these. I love how you divide the list up by age level. It makes it so easy to read. Thanks Renae! I’m glad that the age brackets are helpful. I have a few of these. Love ideas. Wild About Books is pretty fun too. I like having a printable handy for when I go to the store or library. Wild About Books is a fun one. Thanks for sharing Nessa. I learned to read an “Alice in Wonderland” picture book. My parents read it to me every night and finally I could read it to them! The circus ship by Chris VanDusen or ANY of his books! Amazing – for kids and parents. Or slinky malinky and hairy mclarry collections. Thanks for the ideas Michelle! I was excited to see Mouse Paint on the list, as it was my oldest son’s first favorite book. Another favorite of his was Are You My Mother? 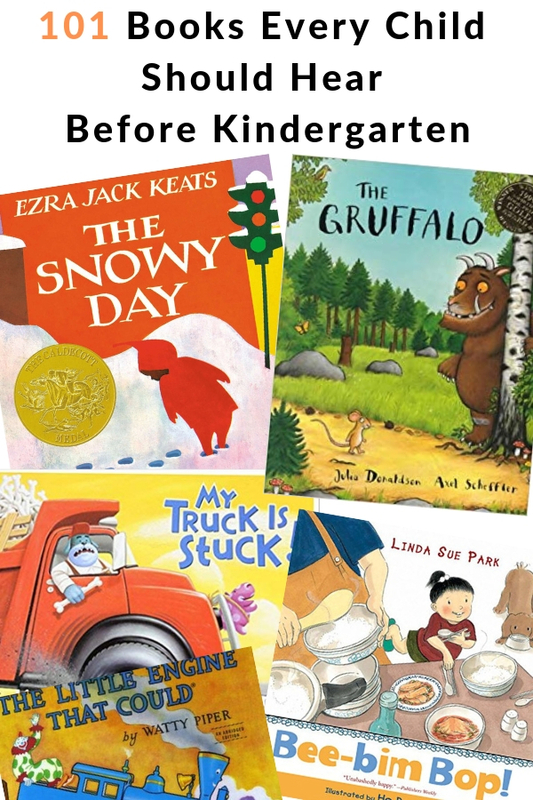 As a preschool teacher, one of my favorite parts of the day was sorry time, and I’ve had the pleasure of reading most of the books on this list. I also recommend Pumpkin Soup, since it was a favorite of several age groups. Oh yes, Pumpkin Soup is a fun one this time of year. The crayon box that talked! What a great list! Our all time favorite is Love You Forever by Robert Munsch. My 14 yo actually sat down and listened to it again while I was reading to her little sister. She got teary-eyed. There are so many people who love that book. This is a fabulous list. One that I intend to share with friends and family. Thak you. I’m a retired elementary school librarian. I love so many titles on this list! I would add The Baby Beebee Bird, by Diane Redfield Massie, illustrated by Steven Kellogg. My students loved making the sound of the baby bird. I would also add I Like Me!, by Nancy Carlson. That’s just been released as a board book. Thank you for sharing Marty. I haven’t read The Baby Beebee Bird so I’m excited to check that one out. I Like Me! by Carlson is a very good one too. This amazing list is filled with old favorites! It also has so new books I need to look for at the library. I came across your list just in time. My oldest will become a kindergartner next year – we still have some time to cover your great list. I love that you included a printable list – it makes it so easy for your readers! The house in the night is a favorite here! I would very much like to share with you, and with anyone who reads this, the book “When I Was Young in the Mountains” by Cynthia Rylant. It is the most beautiful book for children I know. When my kids were at the right age (comparable to Courduroy), I chose that book as my birthday present for every kid-party we went to. I love Cynthia Rylant’s work. 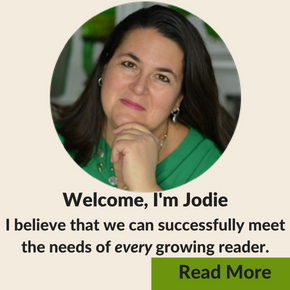 Wow, Jodie – this list is fantastic! I already pinned it to my Kids Books board so that I could find it easily over and over again! My kids are 14 and 16 now, but a lot of these books are in a special box saved under the house. I hope to hang onto them forever – who knows – maybe I’ll be able to read them to my niece or future grandkids, lol. No rush there, though! This is a good list; however,i am disappointed by the lack of diversity of the books. I was excited to see “the snowy day”, but there was little else on the list for children of color. Thank you for your swift and enlightening reply. We will check out the books you mentioned! The little girl in Corduroy is black. Part of the strength of the book (it seems to me–others might consider this a weakness) is that her blackness is completely irrelevant to the story. A book that my kids loved over and over, that is more self-consciously black, was “Aunt Flossie’s Hats.” Not well known but fun and charming. Oh yes, Aunt Flossie’s Hats is a great one! One of my favorites is The Black Snowman by Phil Mendez and Carole Byard. This is an excellent list! My third kiddo is heading off to kindergarten next year and we will wok our way through this list. The best thing is that my older two kids love to sit in on books for younger kids and listen! They love hearing books that they know and love!! I always enjoy hearing about favorite books from our childhoods. I think we read almost all of these before my twins started kindergarten this year. What a great list!! Sharing this. I love that you created a printable! Thank you Erin. Book lists are one of my favorite things to create. 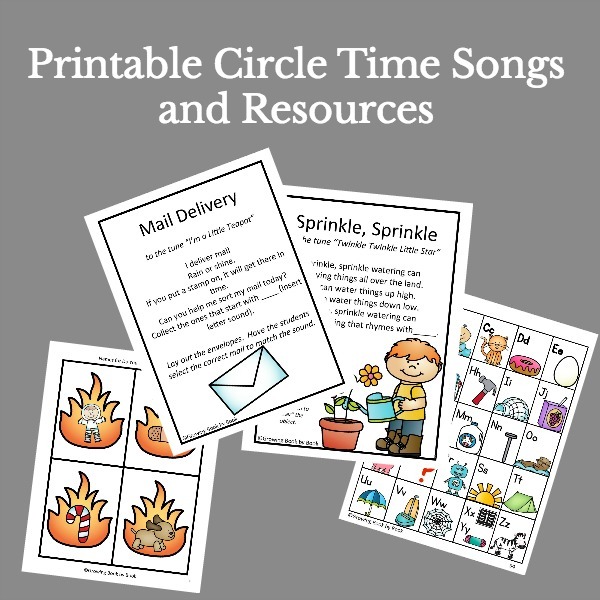 Thanks for sharing so many unique ideas with books and activities that are fun for everyone! 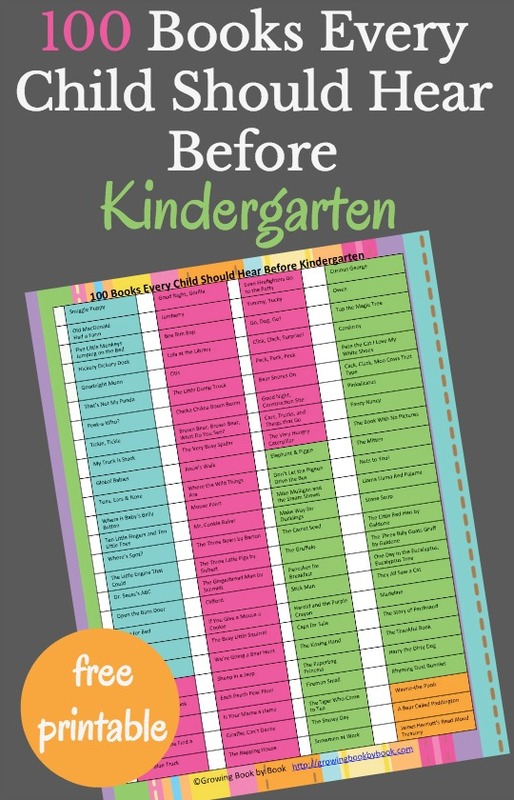 Thanks for compiling such an extensive book list for pre-kindergarten! Look forward to checking out the ones we haven’t gotten to yet. Was wondering if you could include a plain black and white option for book lists in the future? So many things to download requiring colored ink that it’s nice to be able to save ink when possible. I love a good checklist! Frog and Toad are Friends, Bread and Jam for Francis, Pig Pig Grows Up, But No Elephants, The Runaway Bunny. Bread and Jam for Frances was one of my childhood favorites! What an amazing resource! I have to admit, there are a number of books that are unfamiliar. I will definitely be checking them out. I’m glad the list will be helpful to you Helen. What a wonderful list of books to read to young children. We absolutely loved Snuggle Puppy and Goodnight Moon when the kids were babies and toddlers. And, of course, The Kissing Hand was a huge hit when they got to school age. Great collection! You have my favorites in there. Reading to kids is so important. Thanks for this list. I agree. Reading aloud is the single best thing we can do to help our kids grow into readers. Wow what a fantastic list and there is a lot of new books to me there. I guess that is what happens when you live in different countries. What a great list! Between those that I hold dear from my own childhood like Curious George and Ezra Jack Keats books, to the newer ones that I am discovering with my own kids, like those by Sandra Boynton and Mo Willems I think we’ve read most. Definitely excited to check out those that we haven’t read yet! I love sharing the classics and discovering new gems too. This is so great! We started homeschool kindergarten this year and any that we had no read yet I am definitely going to be adding to our kids’ library list. We are homeschooling for kindergarten this year too. I love that we get to read so many great books together through the day. I think we’ve read most of these at least once. Llama Llama never gets old – and we love those Rhyming Dust Bunnies! Emma, the author of Rhyming Dust Bunnies also has a brand-new book called Is That Wise, Pig? My boys rank it right up there with Rhyming Dust Bunnies. Pom and Pim by Olof and Lena Landström? It is a cumulative tale about a child’s soft toys. The two of them go out for a walk and a succession of things happen to them, some lucky and some unlucky, with one thing leading to another. Pom a tummy ache. And so on. a robot or troll. The words are a series of guessing games. Pernilla Danielsson’s witty Can You Drink It?. Thank you for sharing your suggestions. We always love to discover more books. My son is a first grader, so he’s already past kindergarten, but it’s never too late to read more wonderful picture books! I think we’ll have a lot of fun with the ones on this book list that we haven’t read yet. Thank you! We have read so many of these book, but our favorite right now is going on a Bear Hunt. Looking forward to trying some of the ones we haven’t read yet. How do I get just the list? I’m also having problems downloading the list. Can’t wait to go through it and find some books I haven’t heard of before.